Drugs are chemicals that have a profound impact on the neurochemical balance in the brain which directly affects how you feel and act. People who are suffering emotionally use drugs, not so much for the rush, but to escape from their problems. They are trying to self-medicate themselves out of loneliness, low self-esteem, unhappy relationships, or stress. This is a pattern that too often leads to drug abuse and addiction. Find out how to recognize the signs and symptoms of drug abuse or addiction in yourself or someone you care about. When these problems are faced and thoughtfully addressed, there is hope for overcoming drug abuse and addiction. What happens when you take drugs? Drug abuse or substance abuse, involves the repeated and excessive use of prescription or street drugs. In one way or another, almost all drugs over stimulate the pleasure center of the brain, flooding it with the neurotransmitter dopamine which produces euphoria. That heightened sense of pleasure can be so compelling that the brain wants that feeling back, again and again. These drugs cause increased energy, rapid heart rate and elevated blood pressure, but they also produce racing thoughts and make you feel overly-stimulated. Continued use causes rapid breathing, irritability, impulsiveness, aggression, nervousness, insomnia, weight loss, tolerance, addiction, and possible heart failure. These drugs also cause an impairment in cognitive functioning which negatively affects memory and impacts the ability to learn. Drug abuse and addiction have a devastating impact on society costing billions of dollars each year. Heroin use alone is responsible for the epidemic number of new cases of HIV/AIDS, Hepatitis, and drug addicted infants born each year. Drug abuse is responsible for decreased job productivity and attendance, increased healthcare costs, and an escalation of domestic violence and violent crimes. The drugs listed below are commonly abused, and affect the brain and physiology in different ways. Check out information provided by The National Institute on Drug Abuse (NIDA) which offers a chart of commonly abused drugs and identifies how they affect you and what the long-term health risks are. I have a problem – what do I do now? Learn more about drug treatment programs, including rehab and peer support groups. With new ways of coping with life’s problems, without the use of drugs, the tight grip of addiction will begin to loosen its hold. Recovery is possible with the right medical help and social support. Going to a rehab clinic seems to be just part of the celebrity lifestyle these days… I guess getting addicted to drugs or alchohol is an easy trap to fall into in the entertainment industry. Celebrity Rehab has brought many of these addiction issues to light for a small number of celebrities, but there are still many other people who are currently or who have in the past suffered from addiction issues. 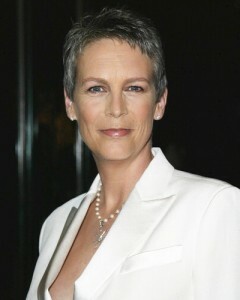 We continue our series of posts on Celebrities in Rehab (that you never knew about), and look into the story of Jamie Lee Curtis. Celebrity Rehab with Dr. Drew is a VH1 reality television show that premiered on January 10, 2008. The show features several celebrities as they undergo treatment for various drug and alcohol addictions. The "celebrities" are treated by Dr. Drew Pinsky and his staff.